Katie French is a partner at the firm of Lamson Dugan & Murray LLP. Katie graduated from Creighton University School of Law and also received her bachelor’s degree in Economics from Creighton University. 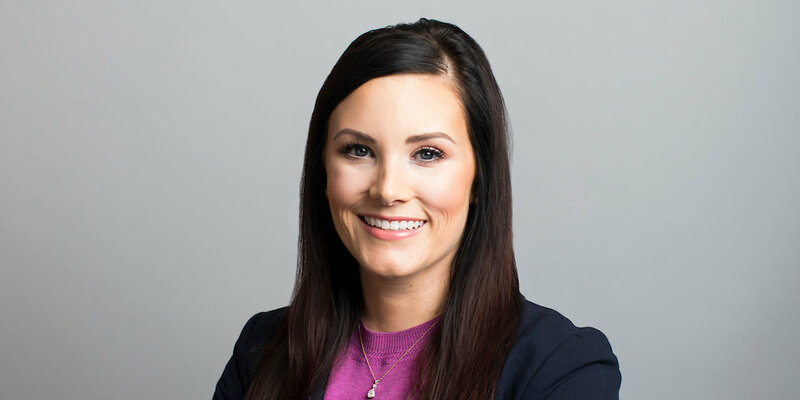 Katie’s practice focuses in the areas of estate planning and administration, real estate, guardianships/conservatorships, business succession planning, and corporate governance. Whether your goal is to provide for future generations, minimize tax, plan for the unexpected, or any combination thereof, a knowledgeable attorney is crucial to effective and efficient planning, customized to each client’s needs. Katie prides herself on helping clients navigate complex issues that can arise during often stressful legal proceedings. She seeks to help clients achieve peace of mind by knowing their family and business is prepared for whatever the future may bring. Outside of the office, Katie enjoys traveling, yoga and pilates, and reading suspenseful mystery novels. Resolution of multi-million dollar case with the Internal Revenue Service in which the Service conceded the proposed imposition of excise taxes. Obtained a Defendant’s verdict after a two day bench trial on a trust matter, finding that a petition filed against their client was frivolous. This resulted in an award of attorney’s fees and significant savings for their client. Ms. French graduated from Creighton University School of Law and received her undergraduate degree from Creighton University. Ms. French is admitted to practice in United States Tax Court as well as Nebraska State and Federal Courts.